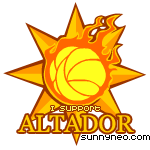 Day 34 (July 4th) of the Altador Cup - the end of the Second Round Robin - will be done a little differently. Sit back and be amazed at the current tournament standings! 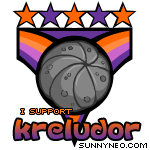 In First Place is Team Kreludor who won Yooyuball, Slushie Slinger and Make Some Noise against Team Terror Mountain yesterday. They did not succeed in Shootout Showdown but no worries for this powerhouse. Here are their statistics so far. Top Goal Scorers: In 10th Place is Qlydae Wegg, Left Forward, with a 3.1976 goal per game average. 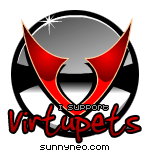 In Second Place is Team Virtupets who won Yooyuball, Slushie Slinger and Make Some Noise against Team Shenkuu yesterday. Shootout Showdown went to Shenkuu but that's not a huge problem for this powerhouse with a huge Make Some Noise record. Here are their statistics so far. Top Goal Scorers: In 9th Place is XL Striker 3.8, Left Forward, with a 3.4021 goal per game average. 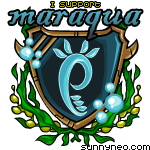 In Third Place is Team Maraqua who had no shake-ups yesterday against Team Roo Island and swept the board yesterday. It's looking promising for the strong-willed Maraquans this year. Here are their statistics so far. Top Goal Scorers: In 1st Place is Elon "The Black Hole" Hughlis, Centre Forward, with a 5.6441 goal per game average. 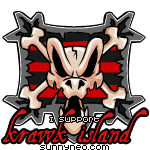 In Fourth Place is Team Krawk Island who had won Yooyuball, Make Some Noise and Shootout Showdown against Team Lost Desert yesterday. Slushie Slinger went to the thirsty Desert Squad, but the pirates don't care about that. Here are their statistics so far. Top Goal Scorers: No qualifiers. 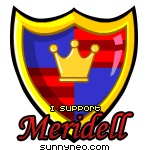 In Fifth Place is Team Meridell who won Yooyuball, Slushie Slinger and Make Some Noise against Team Brightvale yesterday. The scholars Drew in Shootout Showdown, although this was hardly a hinderance to the knights. Although the Meridellians have a Slushie Slinging record to be proud of. Here are their statistics so far. Top Goal Scorers: In 2nd Place is "Wizard" Windelle, Centre Forward, with a 5.5976 goal per game average. 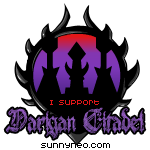 In Sixth Place is Team Darigan Citadel who won Slushie Slinger, Make Some Noise and Shootout Showdown against Team Kiko Lake yesterday. The Kikos kicked up a fuss and Drew Yooyuball against the Darigans but at least DC have a fantastic Make Some Noise record. Here are their statistics so far. Top Goal Scorers: In 8th Place is Layton Vickles, Left Forward, with a 3.4259 goal per game average. 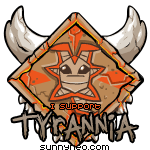 In Seventh Place is Team Tyrannia who won Yooyuball, Make Some Noise and Shootout Showdown against Team Altador yesterday. Altador shone in Yooyuball, though, and forced the Draw. No worries, Tyrannia, you're secure in the second tier. Here are their results so far. Top Goal Scorers: In 6th Place is Loryche, Centre Forward, with a 4.5129 goal per game average. 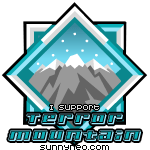 In Eighth Place is Team Terror Mountain who won Shootout Showdown against Team Kreludor yesterday. Unfortunately they lost Yooyuball, Slushie Slinger and Make Some Noise but this won't get them down. Here are their results so far. Top Goal Scorers: In 5th Place is Prytariel, Centre Forward, with a 4.7561 goal per game average. 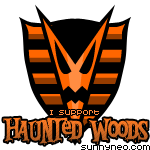 In Ninth Place is Team Haunted Woods who won Yooyuball, Make Some Noise and Shootout Showdown against Team Moltara yesterday. The Moltarans managed to beat the Haunties in Slushie Slinger. Here are their results so far. Top Goal Scorers: In 3rd Place is Zo Junior, Centre Forward, with a 5.0963 goal per game average. 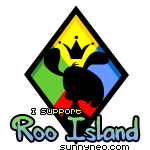 In Tenth Place is Team Roo Island who were unfortunately swept by Team Maraqua yesterday. It takes a lot more than this to make this team with heart break. Here are their results so far. 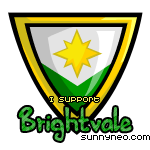 In Eleventh Place is Team Brightvale who Drew in Shootout Showdown against Team Meridell. It was not the scholars' lucky day, though, because they lost Yooyuball, Slushie Slinger and Make Some Noise against the knights. Here are their results so far. 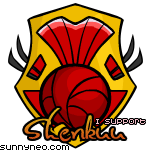 In Twelfth Place is Team Shenkuu who won Shootout Showdown against Team Virtupets yesterday. Unfortunately they lost Yooyuball, Slushie Slinger and Make Some Noise against the spacey squad but given the rank difference it's a blessing there wasn't a sweep. Here are their statistics so far. In Thirteenth Place is Team Lost Desert who won Slushie Slinger against Team Krawk Island yesterday. 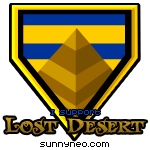 Things have only gone downhill for the Lost Desert after coming First last year. The losses in Yooyuball, Make Some Noise and Shootout Showdown against the Krawks could not have helped. Here are their statistics so far. 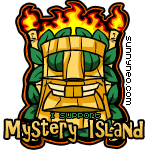 In Fourteenth Place is Team Mystery Island who won Yooyuball, Slushie Slinger and Shootout Showdown against Team Faerieland yesterday. The Faeries took a hard-earnt Draw against the Islanders in Make Some Noise, though. Here are their statistics so far. Top Goal Scorers: In 4th Place is Bertie Shurtz, Centre Forward, with a 4.9224 goal per game average. 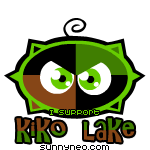 In Fifteenth Place is Team Kiko Lake who Drew Yooyuball against Team Darigan Citadel. As fantastic as that result is, they still lost Slushie Slinger, Make Some Noise and Shootout Showdown against them. Here are their results so far. 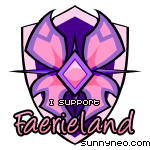 In Sixteenth Place is Team Faerieland who Drew Make Some Noise against Team Mystery Island yesterday. Although they lost Yooyuball, Slushie Slinger and Shootout Showdown against them, at least they aren't in the Consolation Bracket. Here are the results so far. In Seventeenth Place is Team Altador who Drew Slushie Slinger against Team Tyrannia yesterday. The Altadorians might have lost Yooyuball, Make Some Noise and Shootout Showdown, but that hasn't stopped them from getting in the Top Goal Scorers list with 0 Yooyuball wins or draws and 0 Shootout Showdown wins or draws! Here are their results so far. Top Goal Scorers: In 7th Place is Winberto Seliz, Centre Forward, with a 3.4964 goal per game average. In Eighteenth Place is Team Moltara who won Slushie Slinger against Team Haunted Woods yesterday. 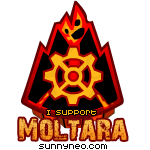 They could not defeat their opponents in Yooyuball, Make Some Noise or Shootout Showdown and the Moltarans sadly sit at the bottom of the Consolation Bracket once again. Here are their statistics so far. Enjoy the rest of your break today because tomorrow the Semi-Finals begin! Remember to visit TNT Staff Tournament Prize Shop too! This report has been brought to you by SunnyNeo's Games Ratio Calculator. Because it's a Bye-Day, you might be playing some none-Altador Cup games to earn some NPs. Not sure how to calculate the Neopoints for the best ratios? Use this calculator to work it out, or see our recommended Top Ratio Games page for added convenience.